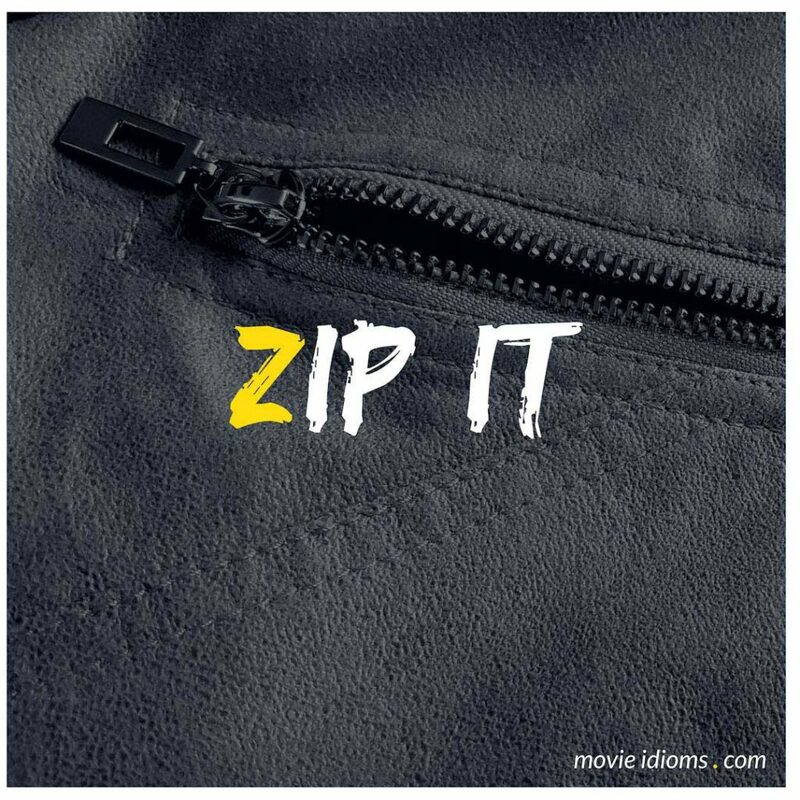 What does zip it mean? Jimmy Dugan: Are you crying? Jimmy Dugan: Are you crying?!?! There’s no crying. There’s no crying in baseball! Jimmy Dugan: Oh, you zip it, Doris! Rogers Hornsby was my manager, and he called me a talking pile of pigshit! And that was when my parents drove all the way down from Michigan to see me play the game! And did I cry? Jimmy Dugan: No. No! And do you know why? Jimmy Dugan: Because there’s no crying in baseball. There’s no crying in baseball! No crying! Harold Lee: Please, sir. This is all a big mistake. My idiot friend here brought marijuana on the plane. Ron Fox: Zip it, Hello Kitty! We know your operation’s funded by drugs! Bruce Banner: You know. I know a few techniques that could help you manage that anger effectively. Betty Ross: You zip it. We’re walking.